Leaping Lions, 'Fetti Fans, the day we've all been waiting for is finally here!!! We've been Counting Down to Confetti over the last 3 days with fabulous creations with all the NEW Reverse Confetti Stamps and Confetti Cuts!!! Now the NEW April release is available in the Reverse Confetti shop!!! Before you run off to fill up your shopping cart hop along with us for a little more inspiration!!! 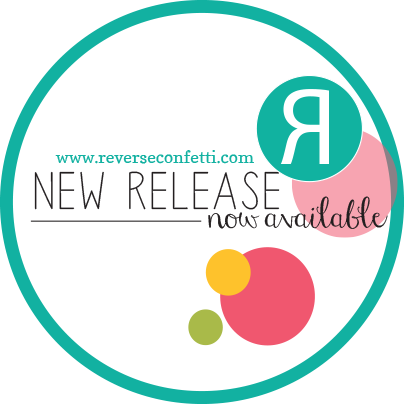 The April Release blog started over at the Reverse Confetti blog and you should have made you way here from Heather's blog, if not, then head on over to the RC blog and hop along with us! There are SOOOO many fabulous creations that the Confetti Crew has to share today, you won't want to miss any of the stops along the hop! 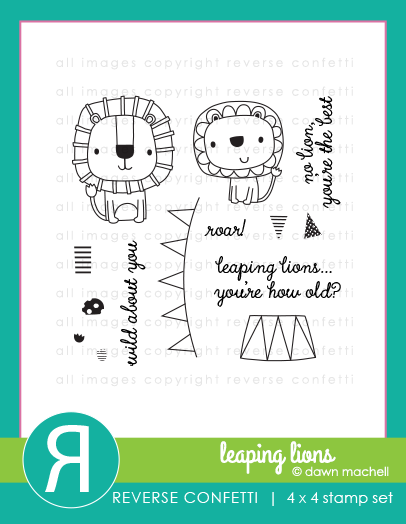 I've made two cards with the SUPER cute NEW Leaping Lions Stamp set and Leaping Lions Confetti Cuts! I absolutely adore this set...there isn't anything cuter than these little lions! This set is perrrfect for so many different occasions too...LOVE it! 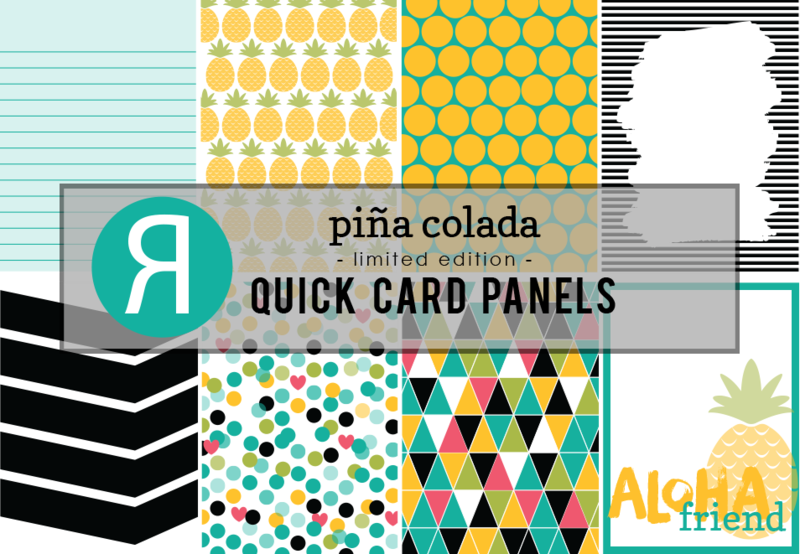 I took my colour inspiration for my cards from the NEW Pina Colada Quick Card Panels. 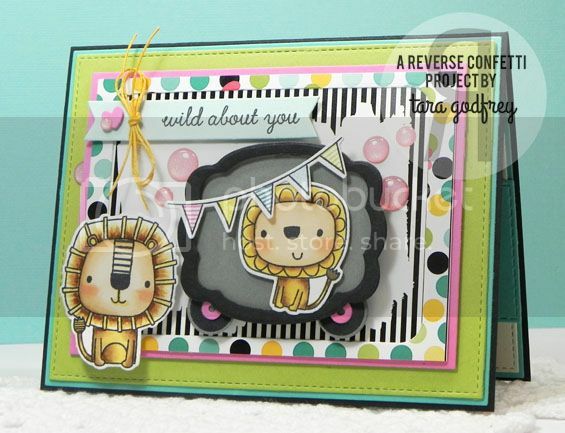 For my first card, I coloured up both the lion and lion cub with my Copics and cut them out with the coordinating Leaping Lions Confetti Cuts. I thought I would make a little circus car for the lion cub to ride in with the Give Thanks Label Confetti Cuts. I made the wheels for the circus car with the Here We Go Stamp set and Confetti Cuts. 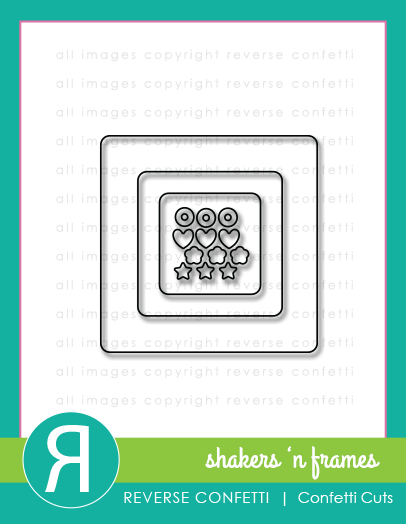 The little pink circles on the wheels and the tiny heart on the sentiment strip are "confetti" cut with the NEW Shakers 'n Frames Confetti Cuts. This is the inside of the card...I stamped another sentiment from the Leaping Lions Stamp set on the fishtail flag from the Tag Me Confetti Cuts and layered it over the circle panel cut with the Circles 'n Scallops Confetti Cuts. I added another cute banner from the Leaping Lions Stamp set and a sprinkling of hearts cut with the NEW Shakers 'n Frames Confetti Cuts and the Donut You Know Confetti Cuts. For this card, I used the Documented Confetti Cuts to cut the polka dot Quick Card Panel from the NEW Pina Colada Quick Card Panels and tucked the Love Note panel under the one corner. The tag is cut with the Tag Me Confetti Cuts and I stamped another sweet sentiment from the NEW Leaping Lions Stamp set. I coloured up another little lion cub...he's my fave and popped him up on the circus stand....SO cute! Again, I cut a few tiny hearts with the NEW Shakers 'n Frames Confetti Cuts and Donut You Know Confetti Cuts added a few pink Gumdrops and tied the Tag Me tag with some pretty blue American Crafts cord. 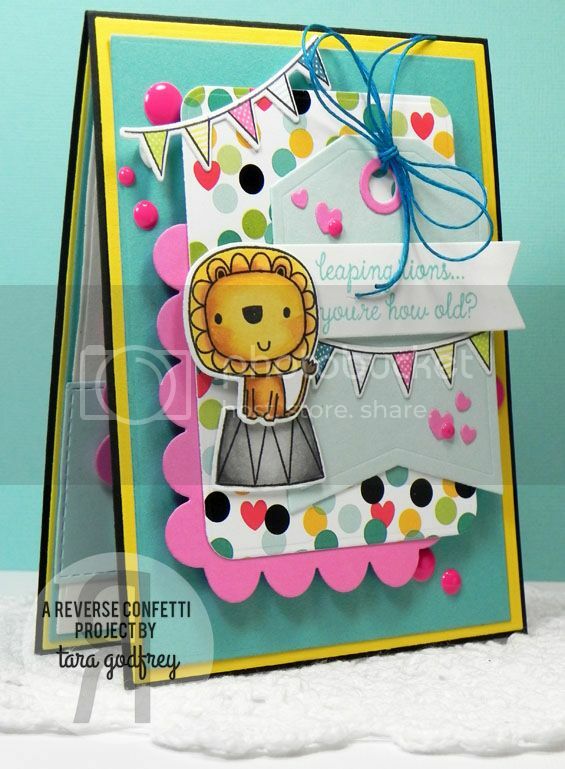 I finished off the inside of the card with the Love Note and Class Act Confetti Cuts and stamped a shadow image of that adorable lion cub and banner from the NEW Leaping Lions Stamp set. I made a little circle tag stamped with one of my fave sentiment stamps from the Roundabouts Additions Stamp set and cut with the Circles 'n Scallops Confetti Cuts. 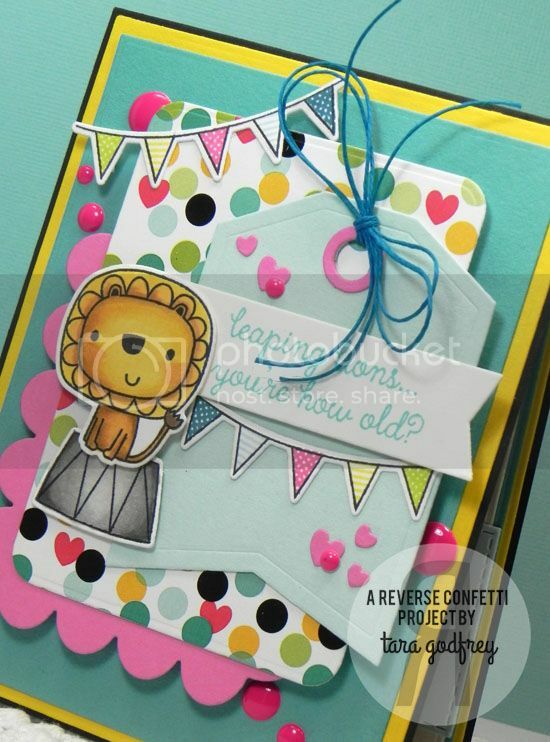 Thanks SO much for leaping by and havin' a little look at my cards for the April Reverse Confetti Release Blog Hop! 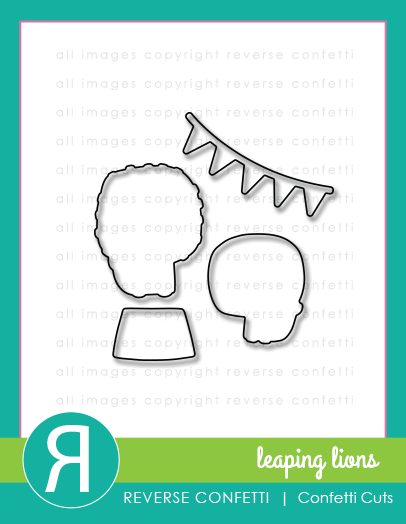 All the NEW Stamps and Confetti Cuts are NOW AVAILABLE at the Reverse Confetti Shop! Please leap on over to Lisa's fabulous blog to see what fabulous creation she has to share with us! If you take a wrong turn along the hop head back to the RC blog for a list of all the hop participants! These are absolutely fantastic Tara!! ohmyohmyohmy!!!! Tara these are the cutest cards. LOVE your zoo train car, so clever! great work this release....you rocked it as always. Absolutely DARLING...your cards are always so sweet and chock full of details! LOL. Tara your cards are adorable, inside AND out! You really did a FANTASTIC job! What a happy collection of cards! the background papers really make these cards feel like you are at the circus. The insides are great too. Oh my goodness, these are so stinkin cute!! I just love everything! Totally adorable!!! Love all of the fun layers and details!! Such absolutely adorable cards! 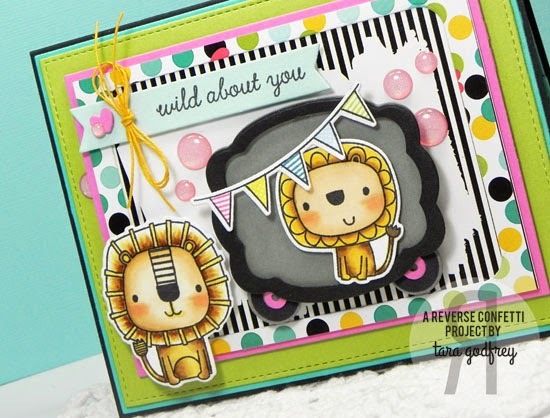 Love that little lion stamp set! Oh WOW! Love the layers and awesome colors used on both your cards! !